Hello friends, after a long time, I will share a great tips with you guys. Who has not yet told anyone. 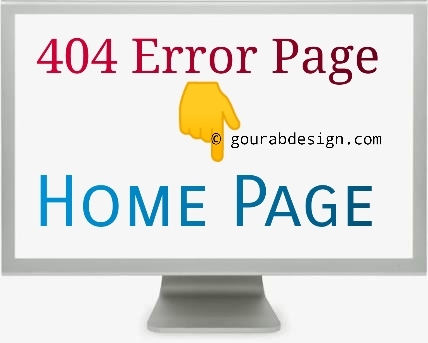 The title of my post is today How To Automatic Redirect 404 Error Page to Home Page in Blogger. You will find many such articles on the internet. Only those old tips will be found in the boot. No new tips will tell you. But the way I'm telling it is a brand new way. Anyone who has not yet written it. Because it is a custom 404 page template error. Whoever has his own website will know what the error page is called. This is very harmful for the SEO. And use the method available on the Internet.. It does not benefit anything from friends. And if you use a custom theme, then there will be an error. You will never be able to automate any broken link automatically. But after using the trick you are presenting today, your entire link link will automatically be redirected to your site. . This is a seo friendly . Blogger was not possible before custom 404 page wordpress like. It cannot be denied that broken links on blogs can be recognized as quite difficult to overcome. The causes can vary, starting from the negligence of the blog admin who incorrectly placed or wrote a link in another article, has deleted the related link. Or it could also be caused by crawling of search engines that mistranslated the URL of the article on the blog. Well, this error URL can be optimized in a special way. Namely by diverting it to the blog homepage or to certain things. After that, save the theme. That's the Automatic Redirect Error Page to the Main Page, hopefully it's useful for you.